Carol A. (Salisbury) Loomis, 78, of W. Harmony Drive, Pottstown, widow of Robert E. Loomis, passed away on Saturday, Oct. 29, 2016 at Lehigh Valley Hospital. Born in Easton, PA, she was a daughter of the late Roland Salisbury and the late Aleen (McCluskey) Salisbury. Carol was a loan officer for Apex Federal Credit Union, Stowe for many years until her retirement. She was a member of St. Paul’s Church, Stowe where she was on the womans guild, and a former choir member. 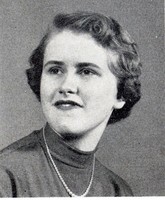 She is survived by two sons, Robert D. Loomis and his wife Pamela L., Pottstown, Matthew J. Loomis and his wife Joanie, Douglassville; three daughters, Sally A. Bechtel, Brooksville, FL, Julie A. wife of Ronald Umstead, Pottstown, Pamela E. Loomis wife of Doyal Harrell, Columbus, GA; a sister, Lesley Statham, Bethlehem; twelve grandchildren, Joshua, Holly, Christopher, Weston, Carly, Zach, Connor, Christopher, Matthew, Mallory, Wyatt, Mackenzie; and three great-grandchildren, Angel, Peter, Nikolas. She was predeceased by a sister Elissa Craig. A funeral service will be 11:00 A.M. on Saturday from St. Paul’s Church, 653 Glasgow St., Pottstown. Officiating will be Reverend Lenn Zeller. Burial will be private. There will be a viewing Saturday from 10:00 to 11:00 A.M. at the church. Contributions may be made in her memory to St Paul’s Church “Mission Fund”, 653 Glasgow St., Pottstown PA 19464. Arrangements are by the Schumacher & Benner Funeral Home & Crematory, at 359 King St. in Pottstown, PA. Our web site exists to serve the friends and family of the deceased. Go to http://www.schumacherandbenner.com to extend sympathies and access additional service details.